The narrowband UHC filter, like the O-III filter, allows only the two doubly ionized oxygen lines (496 and 501nm) and the hydrogen-beta line (486nm) emissions through while blocking everything else, thus highlighting and revealing the beauty of planetary and emission nebulae. This filter permits superb views of objects like the Orion, Lagoon, Swan and other extended nebulae. 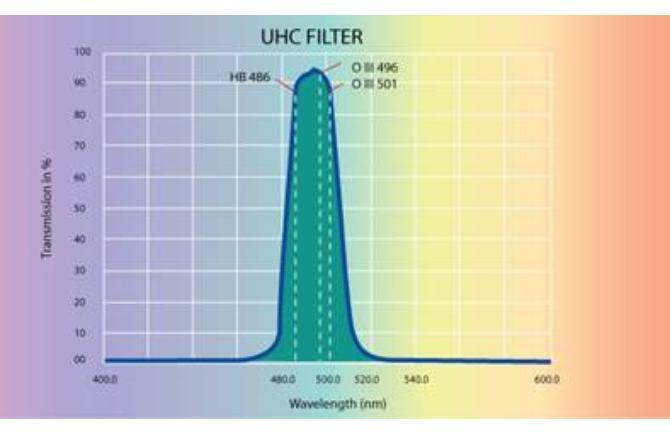 It performs well in smaller aperture instruments owing to its greater light transmission than the O-III, yet still suppresses light pollution well. The UHC filter is the best all-around dark-sky nebula filter. Brighter nebulae benefit from increased contrast, and hard-to-see nebulae become visible. 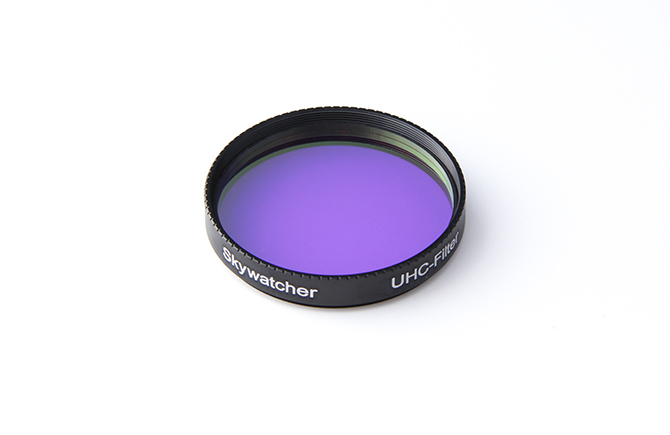 High-quality filter designed to enhance your views of Emission Nebulae such as the Swan, Lagoon, and the Orion Nebula. Enhance your views of Emission Nebulae. e.x. the Swan, Lagoon, and the Orion Nebula. Screw into 2" telescope focuser/eyepiece.